Beefeater Gin has launched its sixth annual cocktail contest to discover the most creative and skilled bartenders from across the globe. In a new twist on the format, Beefeater MIXLDN 6, the largest international gin cocktail competition, will challenge contestants to create a new serve inspired by an iconic London film. For the first time ever, the winner of MIXLDN 6 will not only be crowned Beefeater MIXLDN Global Champion but will also be given the chance to craft their own Limited Edition Beefeater gin overseen by Master Distiller and industry legend Desmond Payne. As the only historic gin brand still created in London, Beefeater’s ethos is underpinned by the spirit of the city. Beefeater MIXLDN 6 is no exception, challenging bartenders to find inspiration in films, past and present that have taken place in London and to translate the capital’s well-known cinema moments into inventive cocktails made with either Beefeater London Dry or Beefeater 24. After submitting a cocktail recipe concept and its inspiration to beefeatermixldn.com, the best entrants in each country will be invited to a national final, running around the world from July until December 2016, to explain their concept and craft their serve for leading local and international gin experts, including Beefeater Global Brand Ambassadors, Tim Stones and Sebastian Hamilton-Mudge. 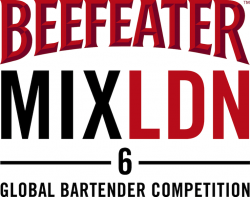 Set to be the biggest instalment of Beefeater MIXLDN to date, the bartender from each of the participating markets that showcases the most inventive and skilful mixology will be asked to represent their countries at the Global Finals in London in February 2017. Finalists will enjoy a series of exclusive experiences, access to some of London’s most iconic institutions and time with renowned leaders from inside and outside the bar industry, to help inspire and develop their craft.